RT LIVE Units should be registered using the RT LIVE Web site. 2. 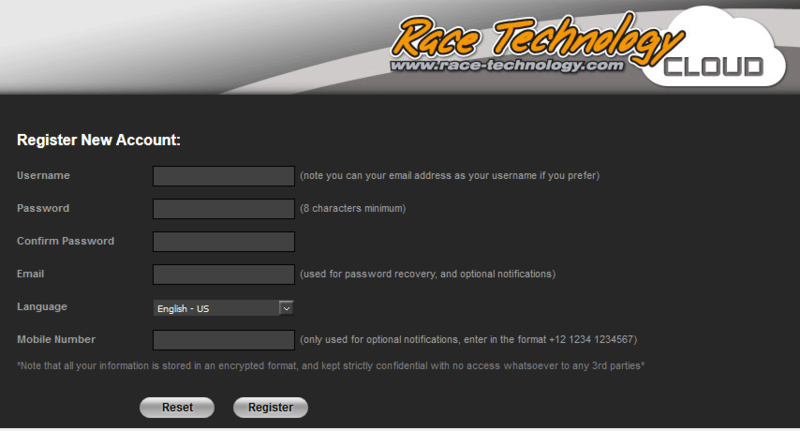 To create a new RT LIVE account click on the "Register" button; the new account registration page will open. Fill all details and click on "Register" button. 3. 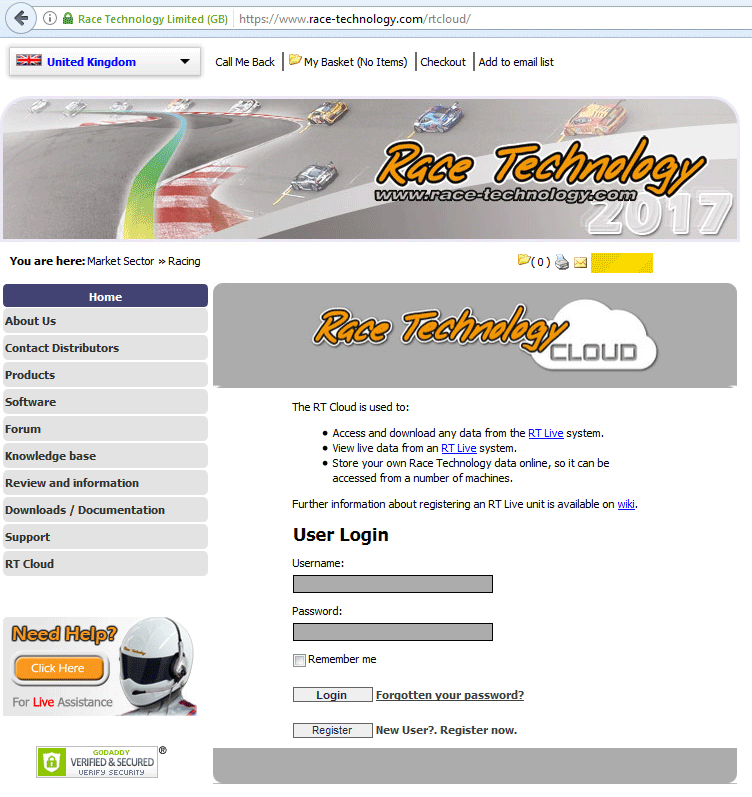 Click on the link on the "Registration complete" page to open the login page again and log in to the RT LIVE web site using your user name and the password. 4. Once you have successfully logged in, click on the "Account" tab. 5. Enter the Unit code and Pin number printed on the sticker attached to the "RT LIVE" unit and click the "Add" button to add the unit. Unit codes of the currently registered units under your account will be displayed in the table under the heading "Units registered to this account". For each unit, you can give a friendly name and set vehicle power calculation values including Rolling resistance, CdA, and Mass. Remember to click on the "Save Changes" button to apply the changes for the selected unit.